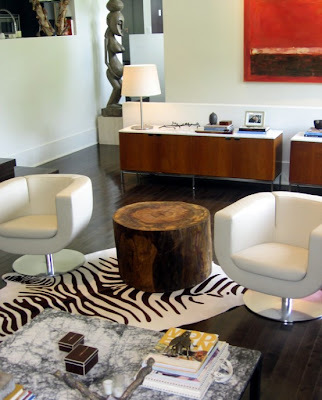 Various interesting combinations of different interior styles become more and more trendy nowadays. 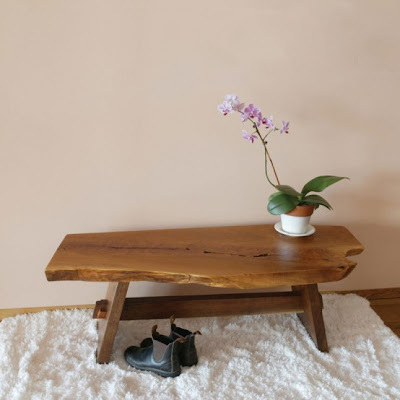 Many of them look very unusual but often designers create awesome solutions combining furniture items, which look incongruous at the first sight. 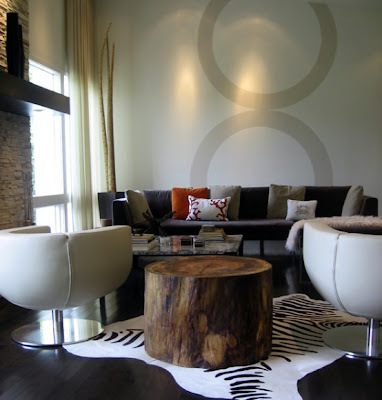 David Stine offers very original and creative additions for contemporary room design. 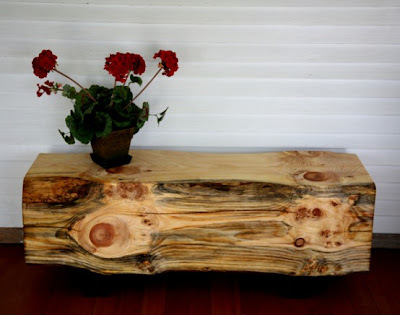 Products made by this designer could add a rustic touch to any room and create interesting ambience. 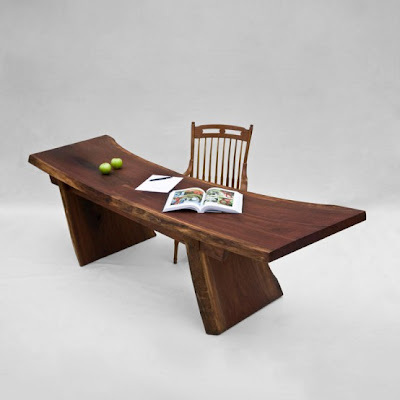 David Stine creates a truly unique furniture from natural solid wood. 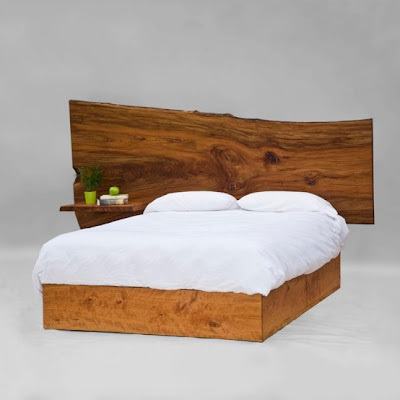 He hand crafts all pieces using traditional methods of joinery and construction, but only with environmentally safe finishes. 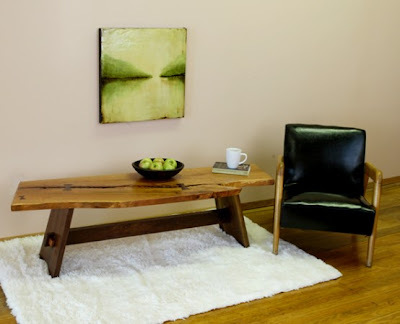 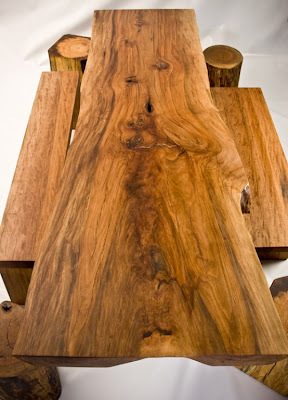 Among his natural products you could find beautiful dining tables, benches, low tables and consoles.